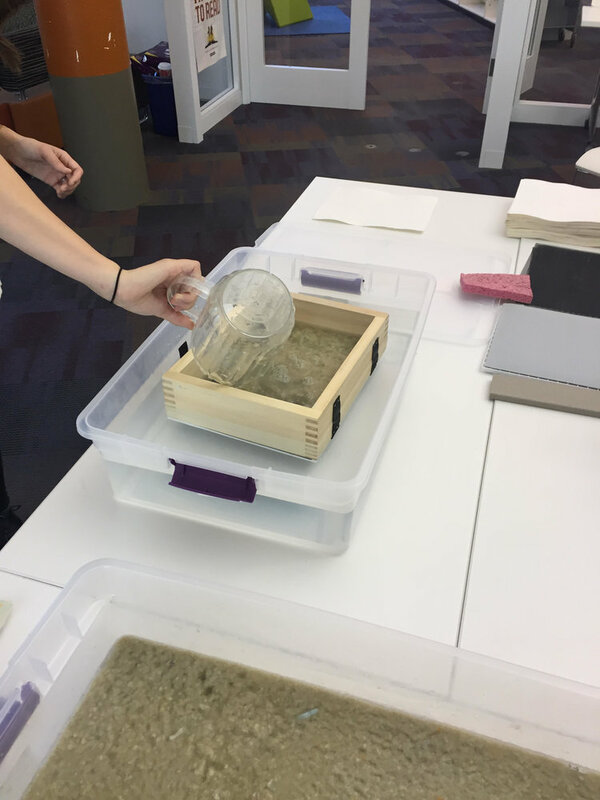 FM has hosted several papermaking, bookbinding, and local history writing workshops at the Sulzer Branch of the Chicago Public Library and CPL events. The Chicago People's Library project began in 2014 at the Sulzer regional branch of the Chicago Public Library. Since then, we've hosted papermaking, bookbinding, and local history writing workshops at several branches and library events across the city, all using recycled materials. Paper and book board from deaccessioned library books are used to create small books. During the workshops, participants can make paper from recycled pulp, learn to bind books using paper from a previous workshop, or write and illustrate a book with a true story about their experience in Chicago. The books are kept at the Sulzer regional branch for in library use but will circulate soon. Special thanks to Courtney Bowles and Mark Strandquist for their permission to adapt The People's Library Project for the people of Chicago.